Many people who have to deal with the criminal justice system complain that it is broken. Especially for individuals who are involved with the system for the first time, being charged with a crime can be overwhelming. The bureaucracy and inefficiency can be staggering, particularly in a city like L.A., which is extremely large and has multiple courts and judges. You need an attorney who has experience navigating the maze of courts, deadlines, and paperwork. You need someone on your side who is familiar with the working styles of the numerous judges and prosecutors throughout Los Angeles county. Someone who knows what to file when, and how to craft your defense with an eye towards achieving the best possible outcome in a timely manner. He has also worked with individuals to have their driver’s licenses restored and has experience in juvenile court. The possible consequences of a criminal conviction are often severe. However, the high stakes are only one of the reasons that criminal charges can be so stressful. Another factor is that the timeline for taking action is often very short. It is all too easy to spend your time worrying when you know you have only the briefest of windows to make decisions that can impact the rest of your life. Obtaining the services of an attorney with experience defending against the specific charges you are facing is important. Equally important, however, is that your attorney is also experienced in the court where your case is being handled. Attorney Michael Berg uses his experience to help his clients focused on the big picture and moving forward, rather than becoming paralyzed with indecision or fear. If you are facing criminal charges in Los Angeles county, don’t delay, and don’t entrust your future to someone who is unfamiliar with that large and unwieldy criminal justice system unique to L.A. 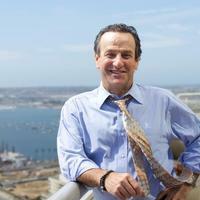 Instead, contact Attorney Michael Berg immediately for your free consultation: 619-239-2186.